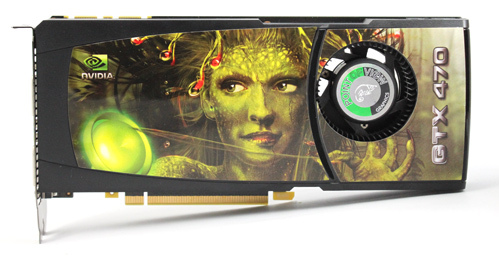 Point of View GTX 470 is no different from the reference GTX 470, except for the stickers on the fan and the cooler. 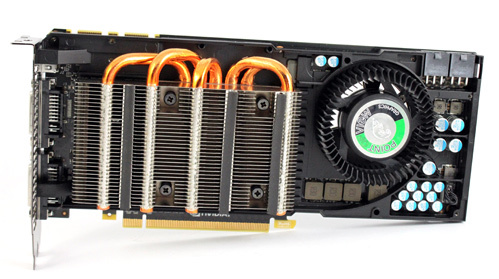 So, the card comes with reference dual slot cooling, which is a smaller version of the GTX 480’s cooler. 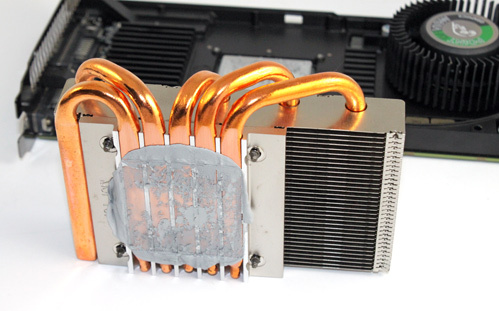 To transfer the heat from the core to the heatsink, the cooler uses 5 heatpipes. The heatpipes are short and managed to fit beneath the plastic hood, so you won’t see them like on the GTX 480. 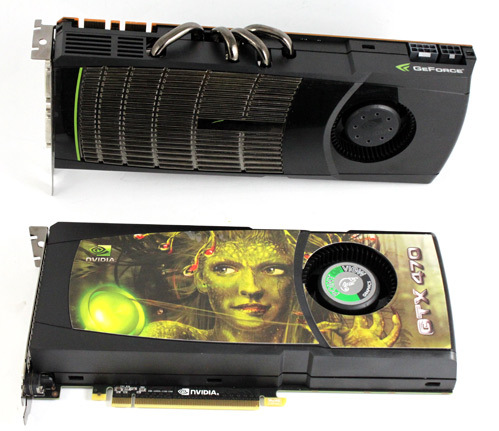 The pictures below show the difference between the GTX 480 and GTX 470. 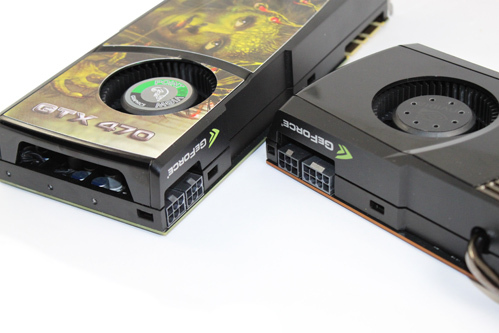 Point of View’s GTX 470 is 241mm long, which means it’s 26mm shorter than the GTX 480 and similar to the HD 5850. 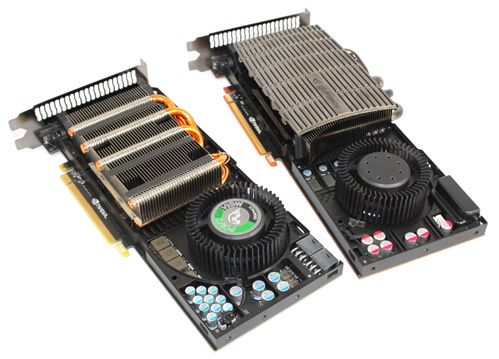 A small 70mm fan is the same one used on the GTX 480. It’s a Delta fan rated at 1.8A. The fan, located at the far end of the graphics card, blows through the aluminum block and hot air leaves the case via the I/O panel’s outlets. In order to provide as much fresh air, the PCB features holes behind the fan. This trick was first done by Nvidia on its dual-GPU GTX 295 cards, and has now found it’s way to the GTX 400 cards. The GTX 470's cooler is made of four parts. The fan and the plastic hood used to direct air are visible but the plastic hides the third and the fourth component – a large aluminum block and metal block. Like on the GTX 480, our today’s card also features 5 heatpipes, but they’re much shorter and don’t exceed the GTX 470’s height. 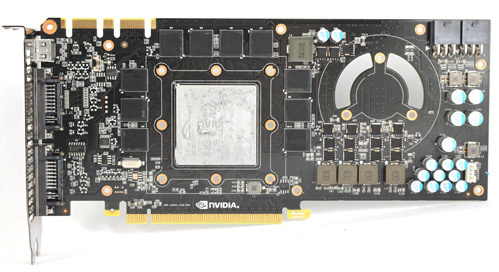 Since the heatpipes on this card are not visible, Nvidia decided not to “pimp” them the way they’ve done on the GTX 480. The heatpipes are in direct contact with the GPU. The heatsink with the heatpipes cools the GPU only, while the memory is cooled by the metal block which extends the entire length of the card and cools other hot components. 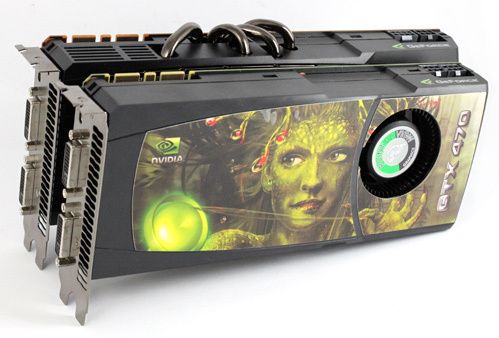 Nvidia’s Fermi GTX 400 series is in many respects the company’s first. Namely, this is the first time that the green team used GDDR5 memory on their high-end cards. 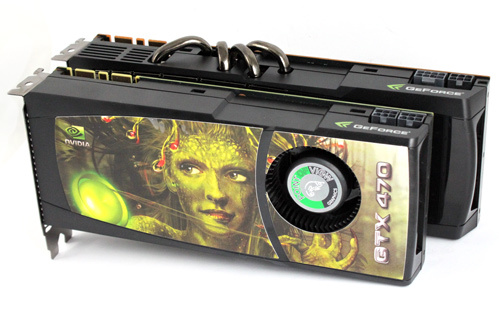 The GTX 470 comes with 10 128MB GDDR5 memory chips (1280MB), whereas the GTX 480 comes with 12 memory chips (1536MB). On their GTX 480, Nvidia uses 348-bit memory bus with memory clocked at 924MHz (3969MHz effectively), while the GTX 470 uses a 320-bit bus and memory at 837MHz (3348MHz effectively). 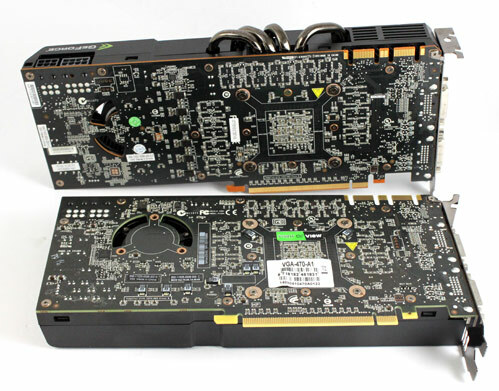 The GTX 470 comes with a 215W TDP and the card requires two 6-pin power connectors. 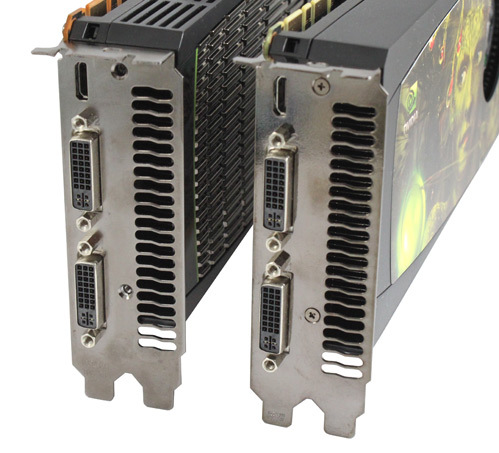 In comparison, the GTX 480’s TDP is 250W and the card needs one 8-pin and one 6-pin connector. Recommended PSU for the GTX 480 is 600W whereas for GTX 470 Nvidia recommends a 550W PSU. 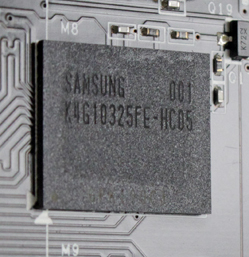 Power connectors are located on the top of the card. The I/O panel features two standard DVI outs and miniHDMI. We presume Nvidia opted on mini-HDMI to leave more space for ventilation, as the GPU can get pretty hot. The GTX 480 and GTX 470 feature the same I/O panel, as you can see from the picture. It’s worth noting that the GF100 supports DisplayPort, but Nvidia opted on HDMI as it’s much more common. However, if partners deem it appropriate, they can easily add DisplayPort out on the GTX 400 cards’ I/O panel. Nvidia included an HDMI sound device within the GPU, which means there’s no need to connect an external audio source to the graphics card when trying to bring both video and audio to your HD device via one cable only. In this respect, the GF100 features the same audio/video capabilities like the 40nm GT200 cards.